Life can seem pretty dismal and hopeless sometimes. Maybe it's because of a day's particularly gray skies, the death of a loved one, the loss of a job, or just a general feeling of emptiness — the fact of the matter is that at some point, sadness and negativity towards life will take over. Even if it's only for a fleeting moment, it feels awful — that complete lack of enjoyment in life and all of the many opportunities it affords. Thankfully, that's where movies can come in. For most everyone suffering through their bluest moment or deepest sorrow, there's hope: some films exist almost exclusively to deliver a positive jolt of energy, the kind that reminds us of life's capacity for joy. These films focus on triumphs of the human spirit as well as emphasizing overcoming tragedy, two motifs that are sure to heighten moods and foster positive outlooks on life. So no matter how glum you may be feeling, check out the movies below, pick ones you haven't yet seen (or simply want to rewatch), and give 'em a shot — they'll brighten your day and then some. Here's a look at some movies that will make you feel better about life. As darkly funny as American Beauty is, it's not solely interested in making light of the often cruel, cold world around us. It's more focused on encouraging us to make light of it — after all, slogging through the day is no way to live. It is, however, how the characters in American Beauty are living at the start of the film. Until, that is, each of them discovers a new source of happiness. For Lester Burnham, it's the ability to say bug off to anyone and everyone, whenever he feels like it. For his wife, it's to be successful, or to be in the circles of those who are. For their daughter, it's to be understood and appreciated. Couple those three distinct desires with the bevy of wants that the film's other characters host, and every viewer is bound to find someone they identify with. In this sense, American Beauty is cathartic; it allows the controlled, repressed corners of our minds to revel in the freedom of what if. What if we stopped caring about the way society, our friends, and our family looked at us? What if we did whatever it took to find happiness, and didn't let anything — or anyone — stand in our way? This movie shows us the power of confidence and personal care, and how we might improve our lives should we choose to eschew society's conventional, and often harmful, trappings. For anyone exhausted with life, American Beauty is a great wake-up call. 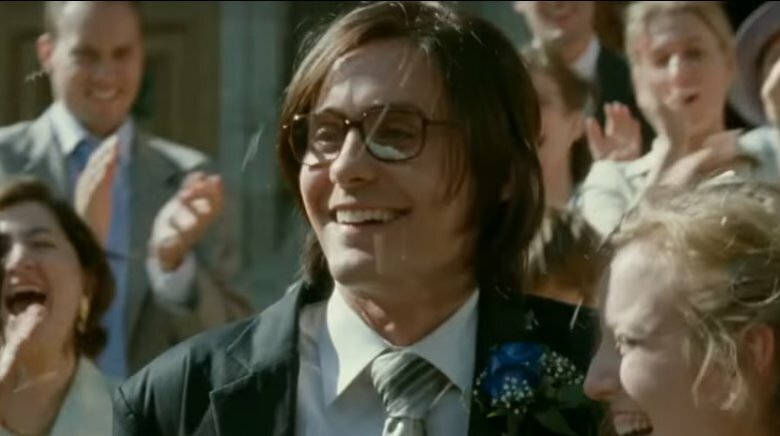 Mr. Nobody is a movie all about accepting choices and responsibilities, which is one facet of life that can prove quite difficult for a lot of us. That's why this movie is such a great picker-upper for those in need of a reminder that life is great: it reminds us that, at all times, there are a million worse (and better) things we could be doing, so we should try to derive satisfaction from our life as it is, since dwelling on alternatives is unhelpful. In that sense, this film's basically the equivalent of the old adage "no use crying over spilled milk." To give some additional context, Mr. Nobody's story is about a 118-year-old man recounting his life to an interviewer. Instead of one life, however, he recounts multiple versions of it, and only really comes to terms with the definitive version when he realizes that there are no right or wrong answers regarding his past — only his own. With this multi-branched story, Mr. Nobody suggests that, at the end of the day, only you need to be able to live with yourself, so do what you need to in order to make that happen. It's as uplifting as movie themes get. Manchester by the Sea, in its own dreary, weird way, is ultimately a semi-positive story about redemption, a word that few people in search of it ever truly find. 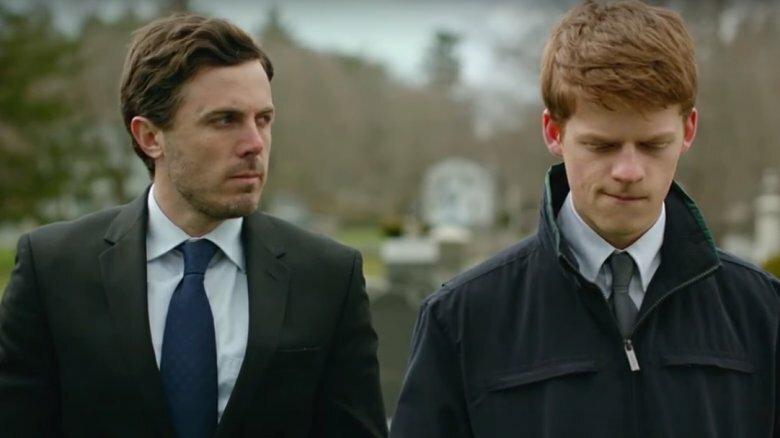 That's what makes this movie so great for those hoping to feel a bit better about life: Manchester by the Sea argues that, while it's hard, the road to redemption is a navigable one, for those willing or able to put in the work. Manchester by the Sea stars Casey Affleck as Lee Chandler, a depressed, alcoholic handyman who lives in a crummy basement apartment. He, in all of his sadness and squalor, becomes the legal guardian of his brother's son. At a point in the film, it's revealed that Lee's become the man he is as a direct result of a horrific tragedy in his past, and suddenly it's clear that his guardianship over his nephew is no longer just a burden — it's a challenge from fate. What makes this movie so beautiful is that, ultimately, Lee accepts that challenge, to a greater extent than the movie leads us to believe his character is capable of doing. His redemption serves as a poignant beacon of hope for any viewers who might need to right some wrongs in order to feel better about their lives. 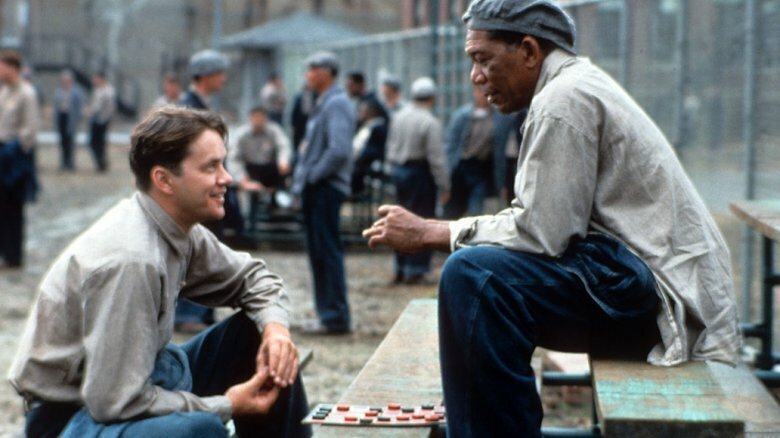 The Shawshank Redemption offers a masterclass in cinema's unparalleled ability to provide a satisfying payoff in exchange for two hours of emotional agony. The story, adapted from a Stephen King novella, follows the travails suffered by Andy Dufresne (Tim Robbins), an innocent man convicted of a heinous crime that lands him in a high-security prison known as the Shawshank State Penitentiary. Within this prison, Dufresne suffers all sorts of abuses; some from authority figures such as the prison warden, as well as a bevy of others from his fellow inmates. Dufresne's servitude is absolutely grueling to watch, and yet, for all his suffering, he never loses the will to fight. Throughout all of his trials, Andy fights for what he believes in, including the human rights of his fellow inmates, their right to education, and his own right to freedom. Via this unshakeable determination and willpower, Dufresne constructs a long-con plan to break out of jail and eventually succeeds in escaping to freedom. It's in this success that we see life reward those who endure its trials. It's a reminder to the audience that whatever demons we may be facing right now can be dwarfed by the possibilities of tomorrow, and the harder we push today, the bigger the payoff will be in the long run. When it comes to turning a frown upside down, there's nothing quite as effective as a wholesome, family-friendly adventure story about a marmalade-obsessed anthropomorphic bear. 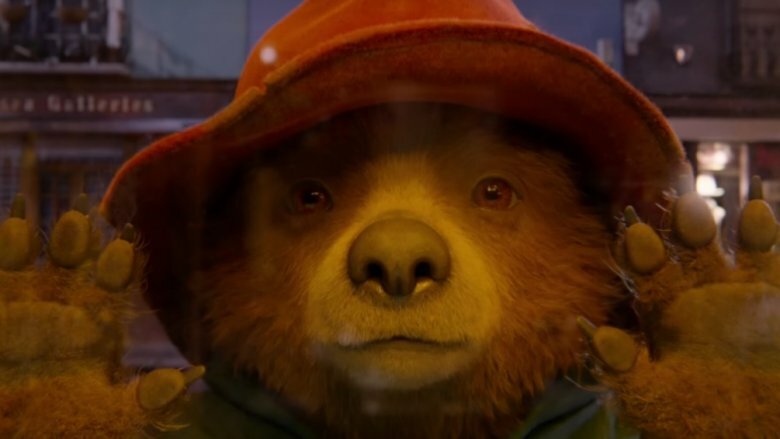 In this sense, Paddington does everything when it comes to brightening the mood and encouraging an optimistic outlook on life: it shows us a loving family that looks after Paddington and is willing to help him no matter what, it offers valuable lessons in trust, and it demonstrates the benefits of kindness. 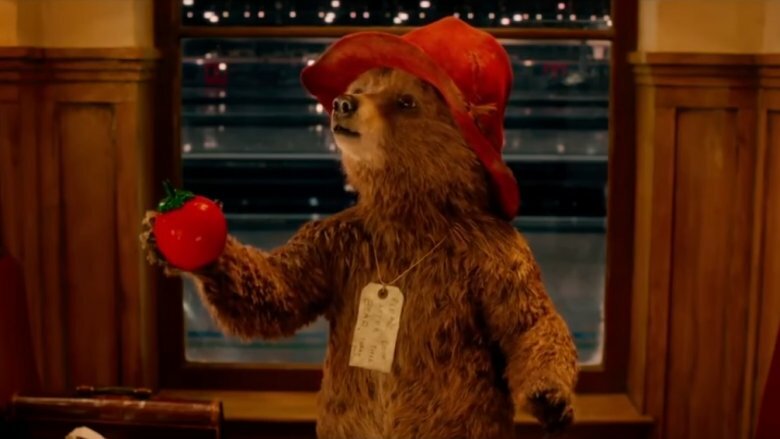 The gist of the movie is that Paddington needs to become a member of English society, earn a spot within his adopted family, and evade a deranged taxidermist. By being a perpetual source of kindness, Paddington easily knocks out the first two birds with one stone (though that's something he'd never do). And, regarding the taxidermist, Paddington's new family does everything in their power to get him out of harm's way, using every resource at their disposal to save their fuzziest member. The film does a great job of showing that even when life throws the unexpected at us, as long as we keep our heads up and maintain a loving heart, no challenge is unconquerable. Paddington also reminds us to look for help when we need it — after all, life's a lot more fun, and manageable, with loved ones by our side. No matter what the context, cancer is a seriously sore subject, negatively affecting everyone it touches — both directly and indirectly. 50/50 explores that negative stigma and applies a humorous, upbeat slant to a consistently dour subject — and, on most levels, it succeeds. 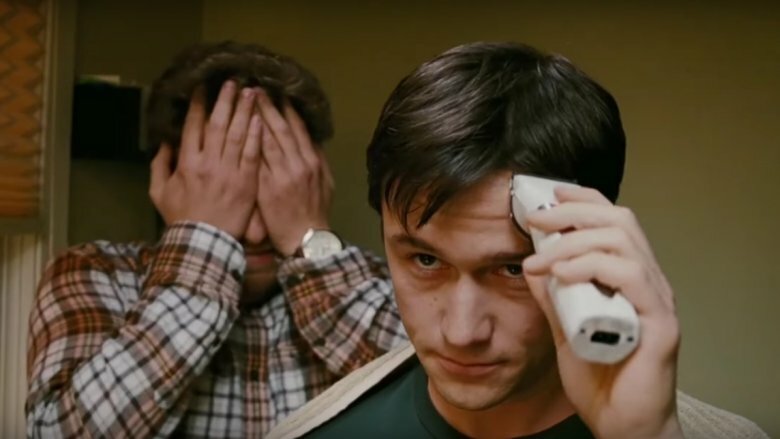 In this movie, cancer isn't the villain so much as it is the catalyst for main character Adam Lerner (Joseph Gordon-Levitt) to get some self-respect and get his life together. For this reason, 50/50 is less a drama about Adam's illness and more a thematic tale about taking charge of one's life and using every obstacle as a hurdle towards a better tomorrow. For example, shortly after being diagnosed with cancer, Adam learns that his girlfriend has been cheating on him. Without cancer threatening to take away his life at any minute, he might very well have tolerated this. However, thanks to his condition, he sees the value in every moment, realizes he can't waste it on bad company, and promptly breaks up with her. This is 50/50's moral: adversity isn't a roadblock, it's an opportunity to reflect and grow. After all, life only gets better with every obstacle overcome. There's nothing worse than feeling like you're making the same mistakes over and over again — it can bring down even the strongest of people. Enter Groundhog Day, a feel-good movie entirely dedicated to exploring that feeling of monotonous failure — and triumphing over it. Groundhog Day is about weatherman Phil Connors (Bill Murray) reliving the titular day over and over again, a curse that eventually drives him crazy. The story covers the whole gamut of emotions and arcs that accompany someone trapped in a never-ending cycle of daily disappointment: there's frustration, then boredom followed by agony, and lastly depression. At one point in Groundhog Day, Phil gets so tired of reliving the same disappointing day over and over again that he tries to kill himself, a process that involves a number of different failed suicide attempts. This is where the movie's life lesson kicks in: ultimately, Phil realizes that he can't run from his problems, so he elects to face them instead. He stops focusing on his woes and starts working on improving himself, and before he knows it, he finds true love, learns a bevy of new skillls, becomes an inspiration to those around him, and breaks the curse — all because he didn't let life's cyclical hopelessness keep him down. 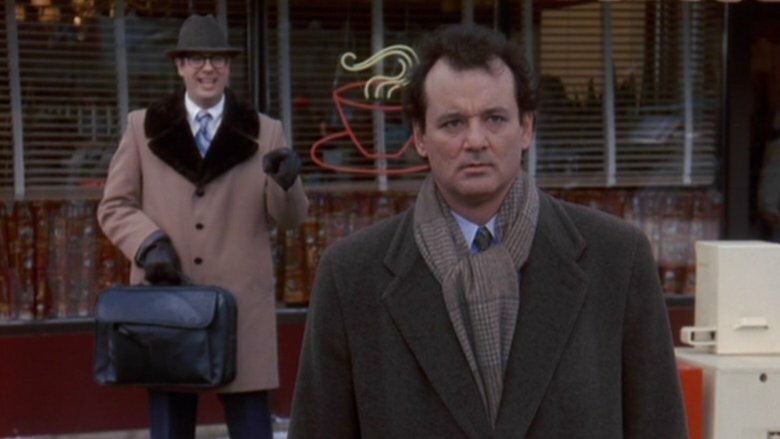 For those feeling like they're caught in a rut, Groundhog Day is definitely a movie to laugh and learn from. Up is a movie designed to directly combat insular, self-absorbed depression. That's the malady affecting the movie's protagonist, Carl, at the start of the film. Carl, having lost the love of his life before they could afford to go on a grand adventure together, resigns himself to a sad life as an angry old hermit. This changes, however, when a young boy scout and a million-too-many balloons become attached to Carl's home, turning it into a makeshift airship with a stowaway occupant. This ascent to the skies results in Carl and the boy floating off on an impromptu adventure — one set to teach both of them a big lesson about the value of living life to the fullest. 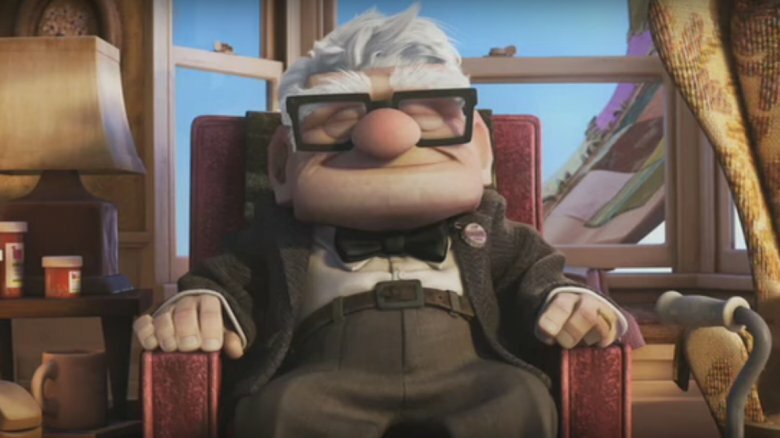 While Up may not be Pixar's greatest or deepest work, its first ten minutes are among the most heartbreaking moments in cinema history, and may prompt you to pause the film and call all your loved ones simply to tell them you care. If you need a reminder about the value of life, just watch that far in — then check out the rest of the movie to get a renewed sense of excitement for life's infinite possibilities, and maybe even get inspired to plan a surprise journey of your own. The Sound of Music's story of an incompetent nun becoming an incredible nanny, and eventually stepmother, is one of the most inspiring tales of all time. The movie's against the backdrop of 1938 Austria, where the film's protagonist, Maria, leaves the convent to serve as Captain von Trapp's nanny. As her bonds with the family deepen, she discovers her capacity to positively impact not only the lives of von Trapp's children, but also the emotionally distant Captain himself. Along the way, Maria realizes she doesn't have to conform — she can be herself and shape those around her into better people in the process. This message is the core of the film's central theme: the world doesn't have to change you, you can change the world around you and find your place in it as you are. 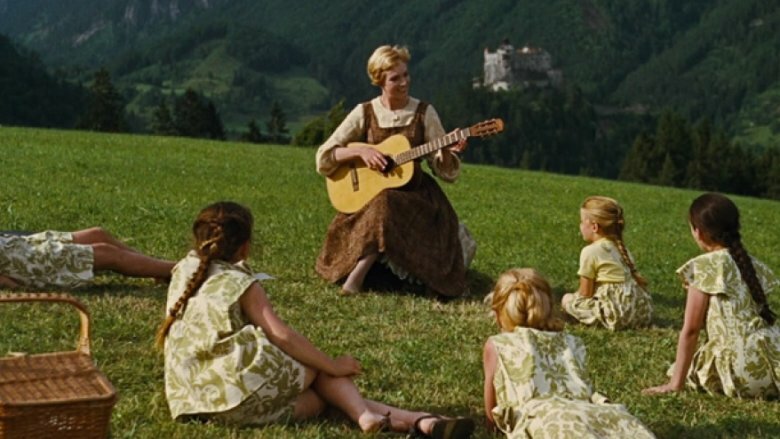 This is what Maria does, and as a result, she inspires the von Trapp family to be more loving, empathetic, and joyful; all qualities that fuel the movie's iconic musical numbers. Simply put, The Sound of Music is a great watch for anytime you need something that will make you feel better about life by offering a reminder that life has a purpose for you, exactly the way you are.